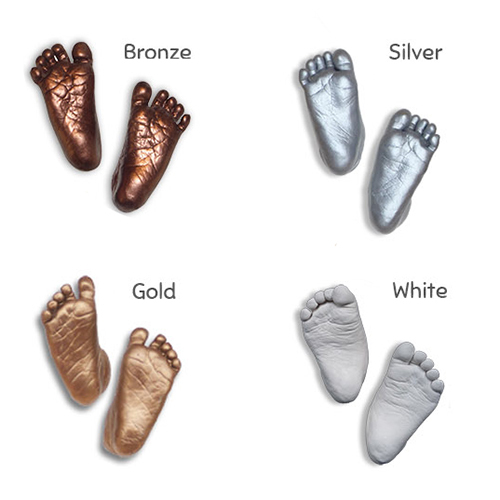 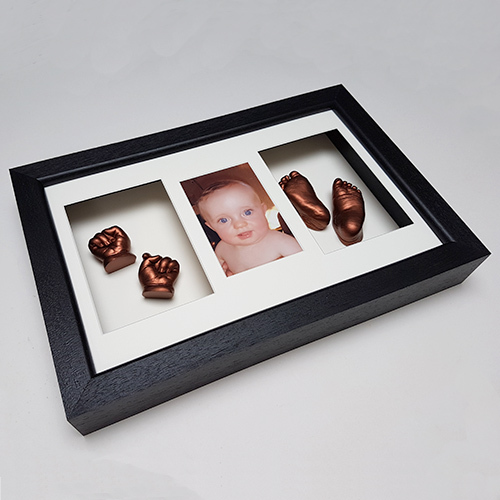 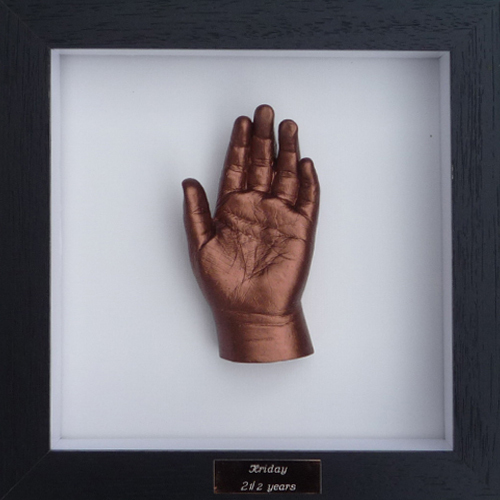 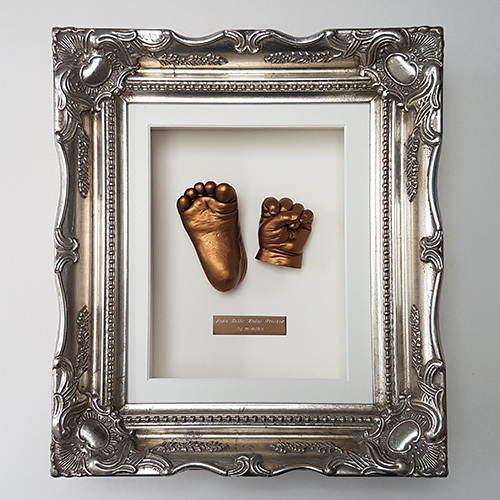 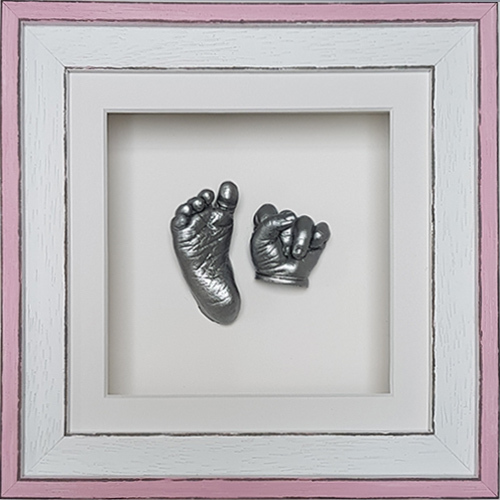 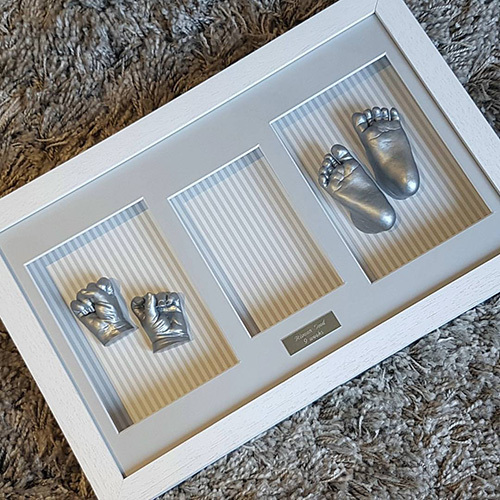 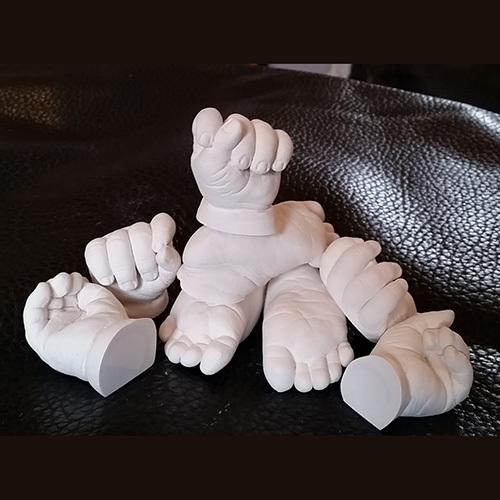 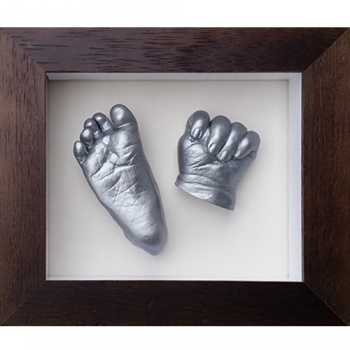 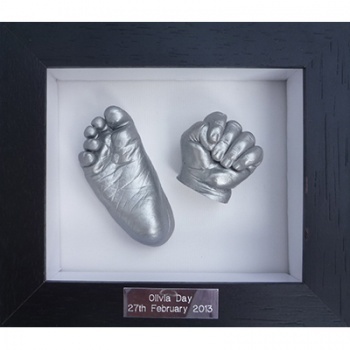 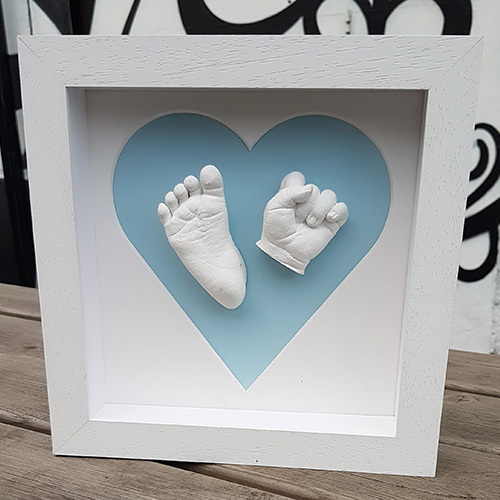 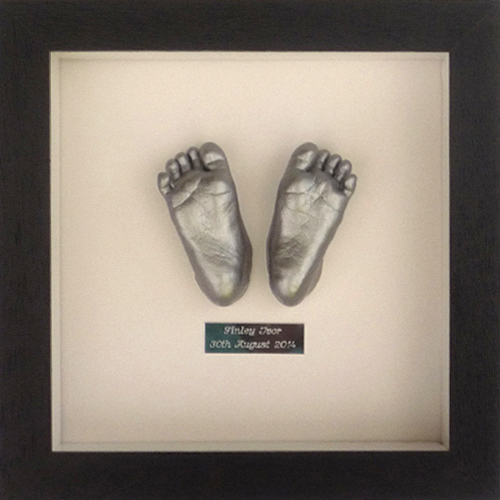 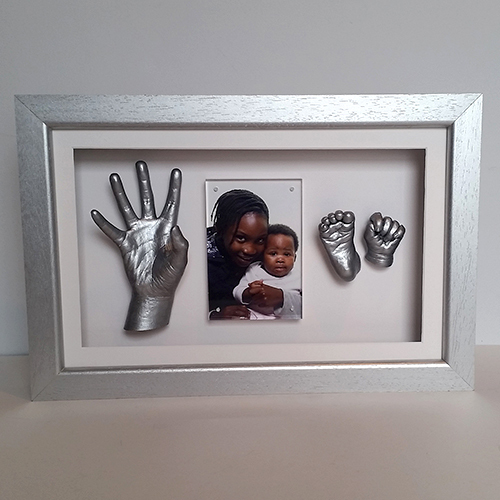 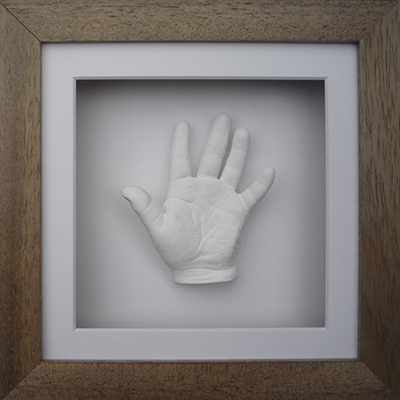 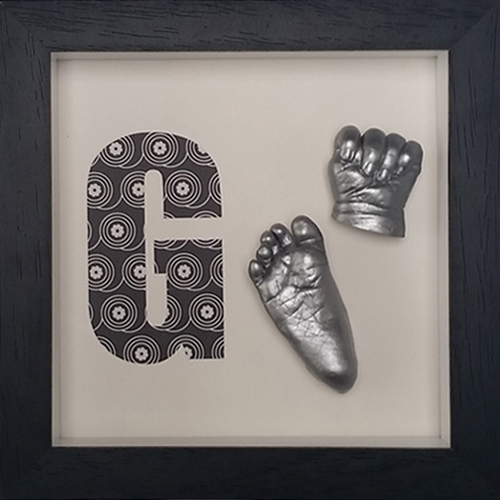 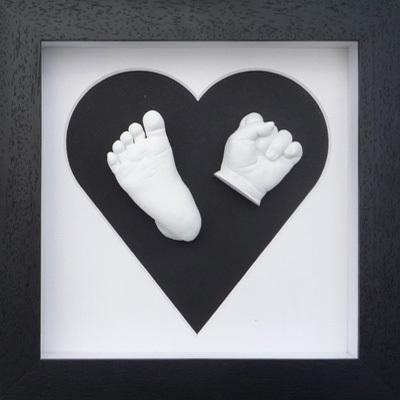 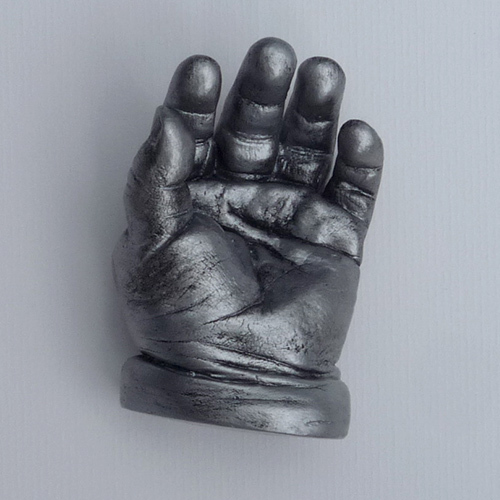 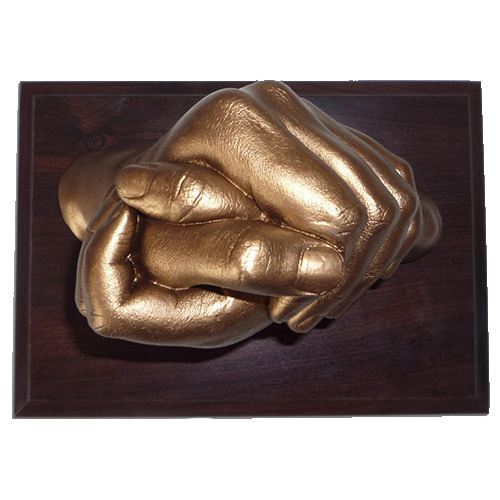 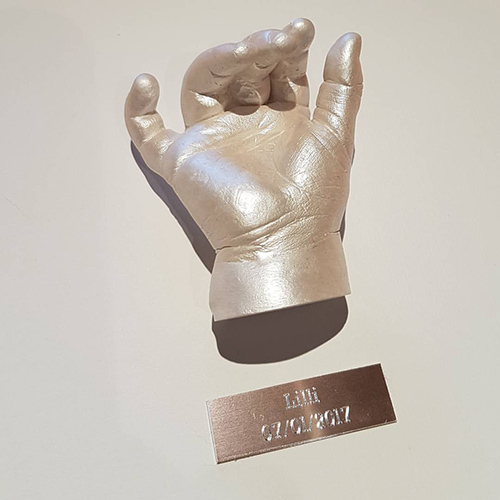 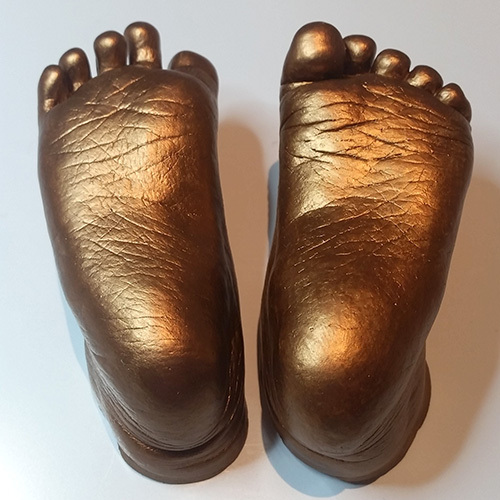 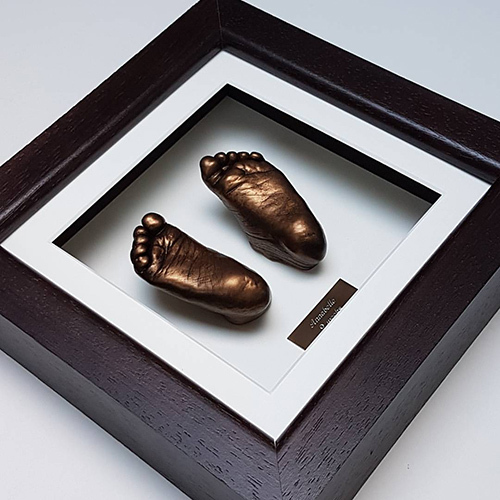 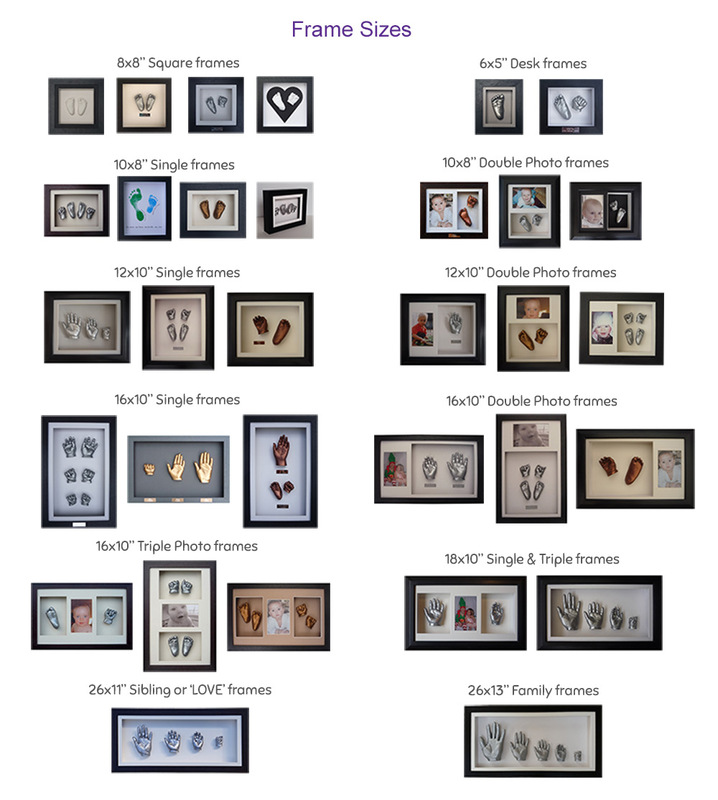 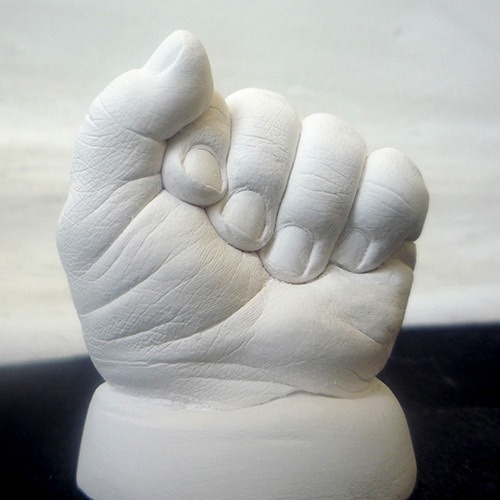 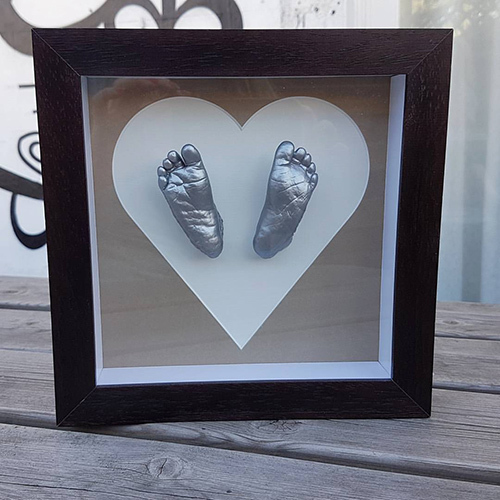 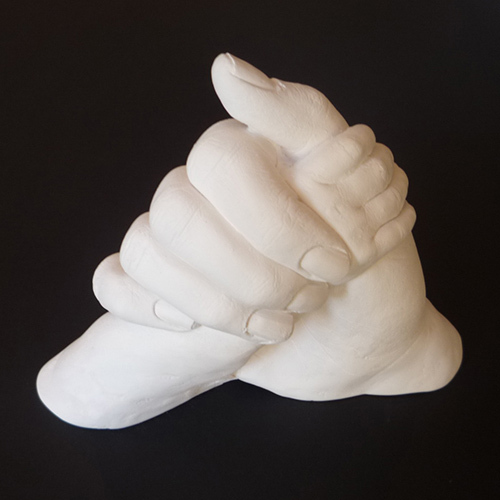 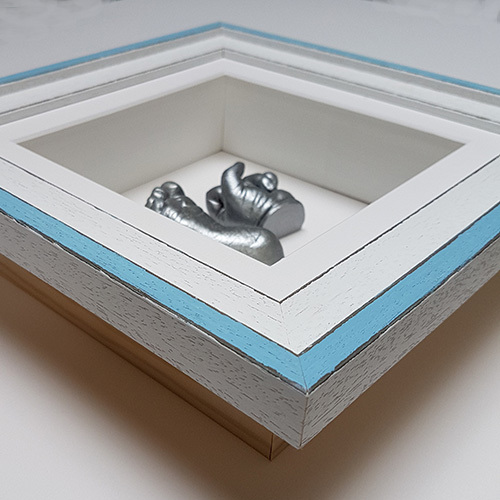 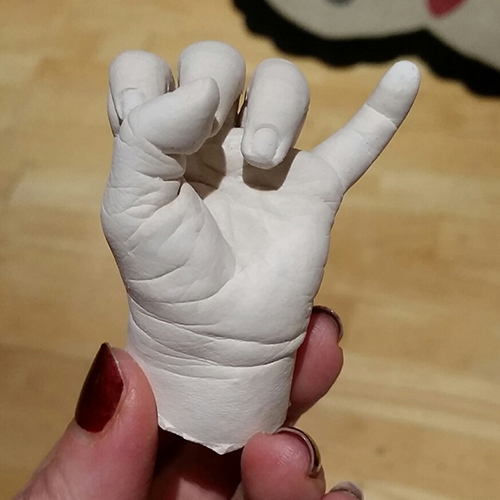 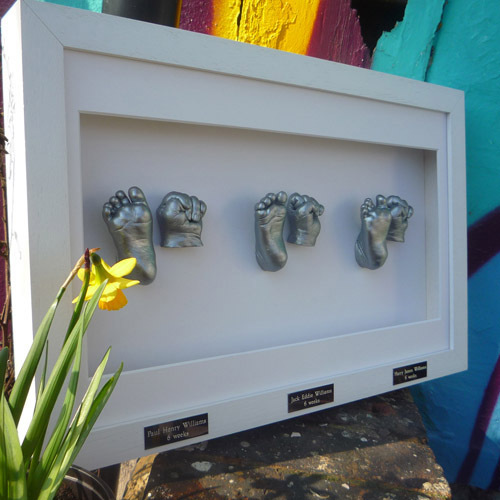 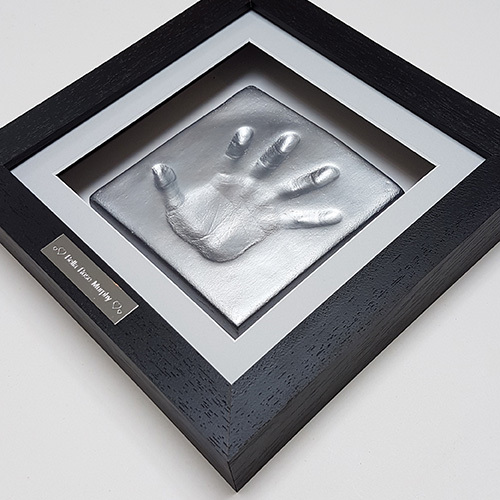 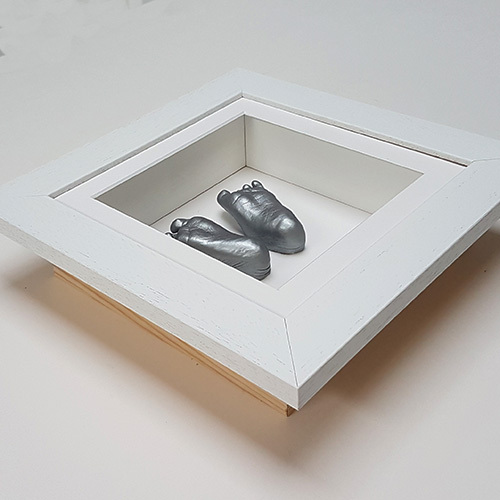 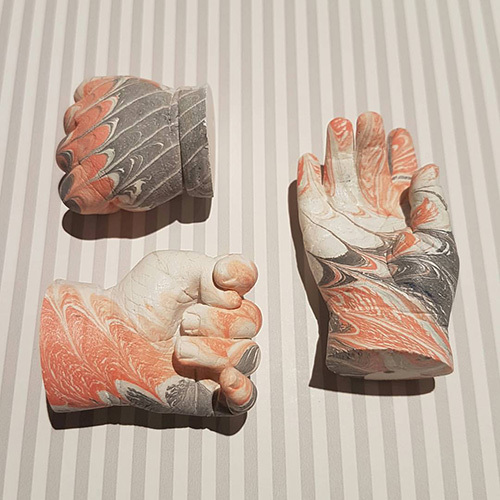 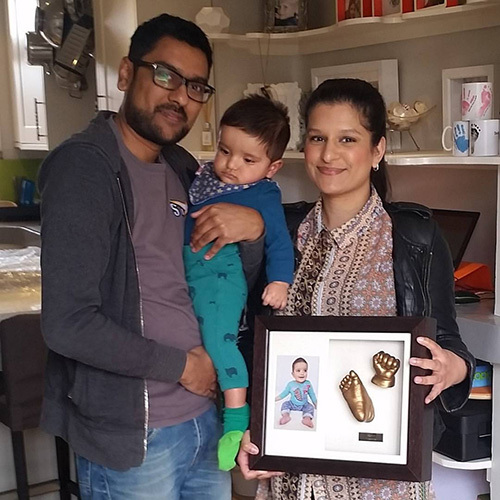 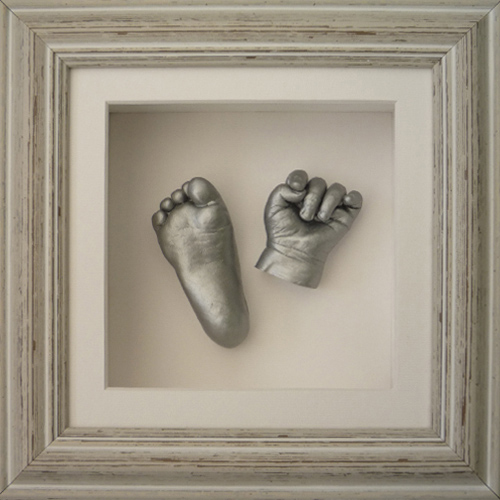 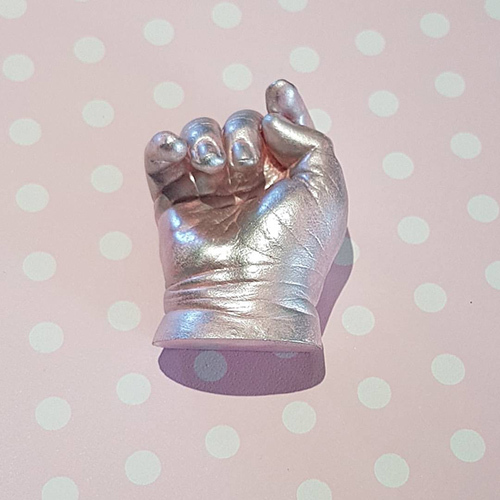 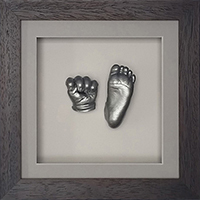 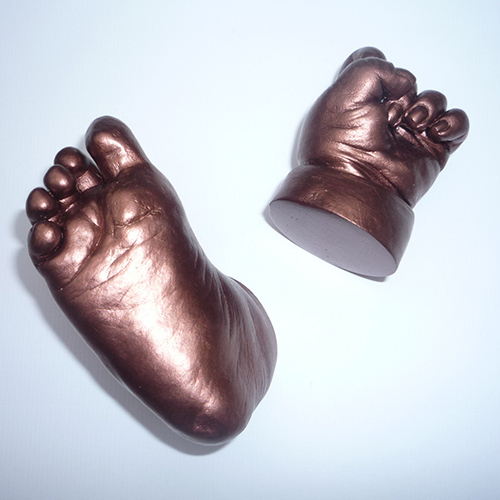 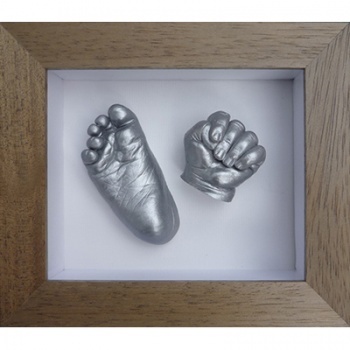 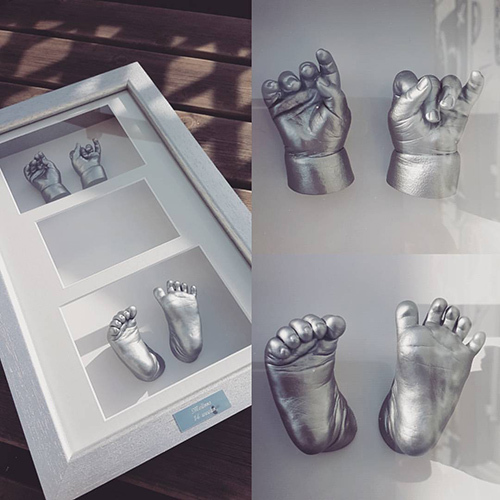 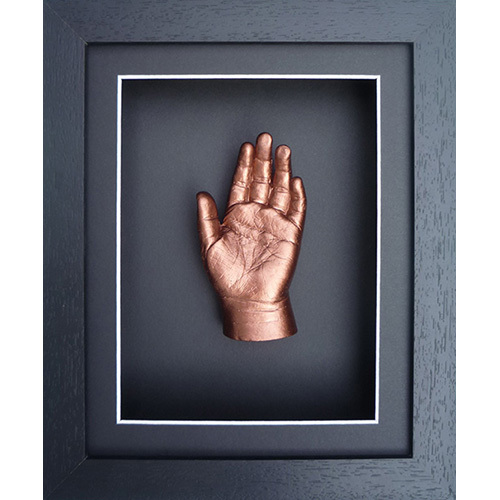 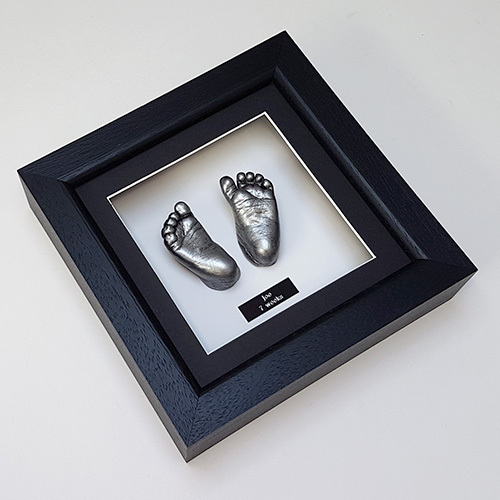 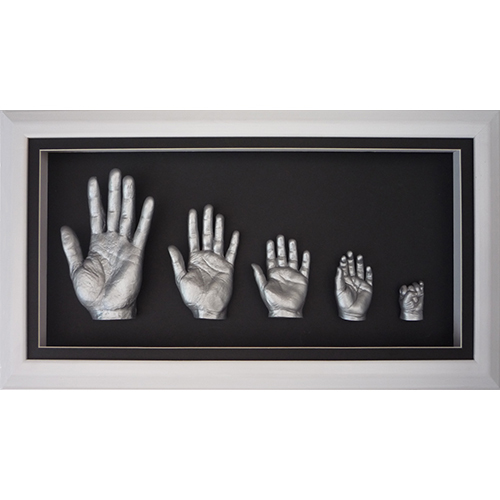 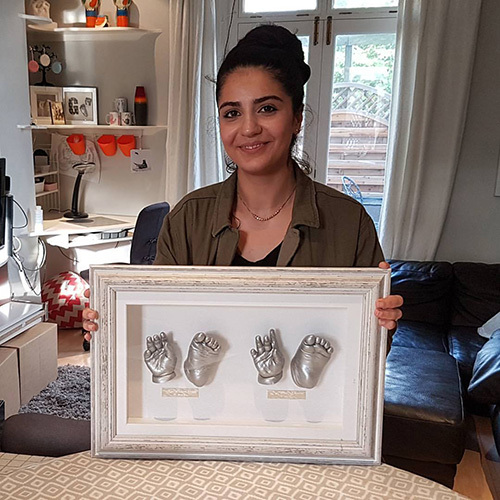 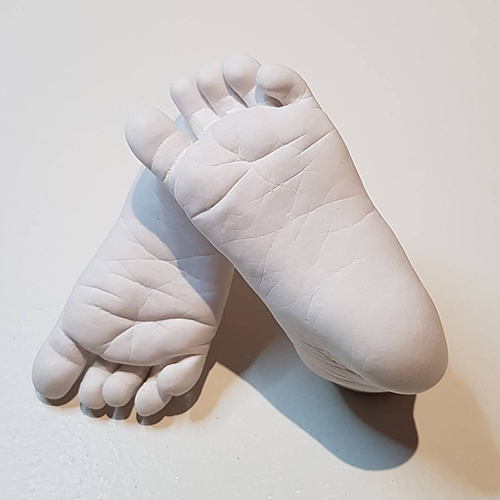 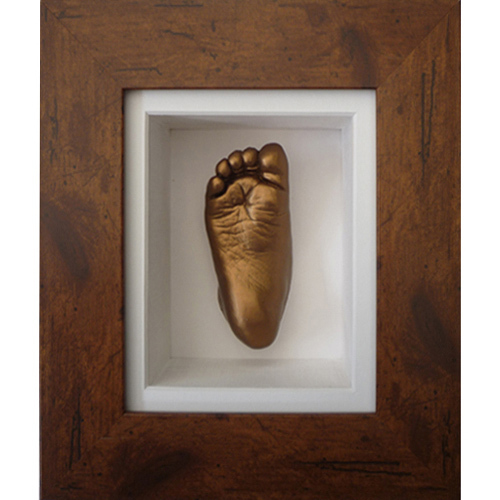 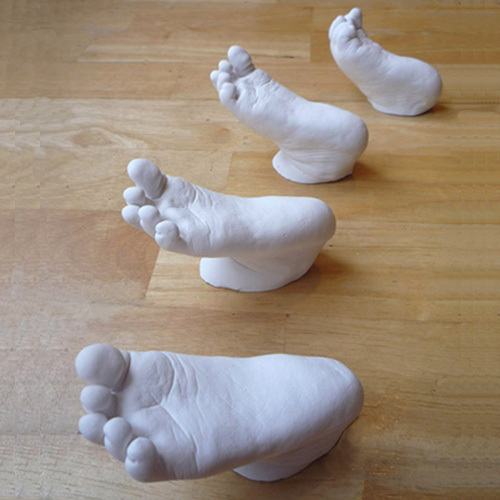 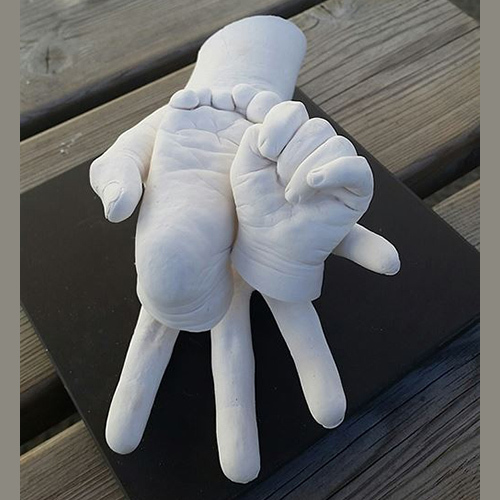 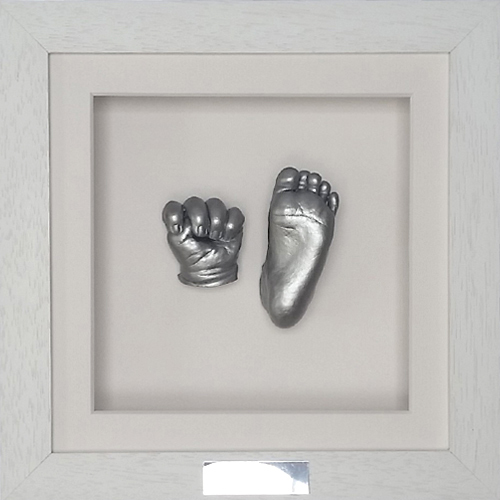 A baby casting kit with a wide display 6x5" box frame including materials for up to 4 hand or foot casts with your choice of paint. 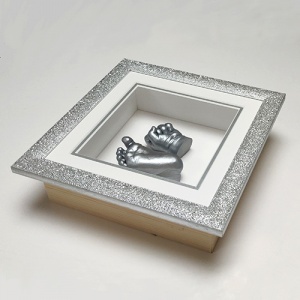 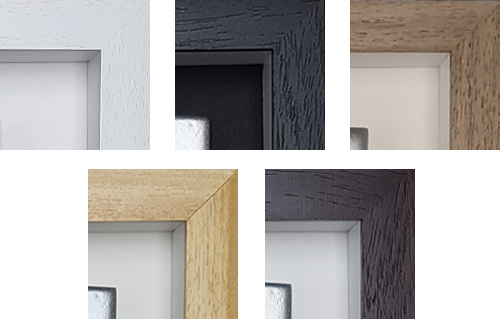 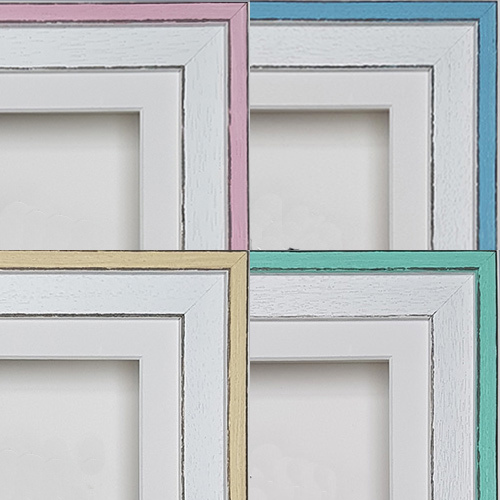 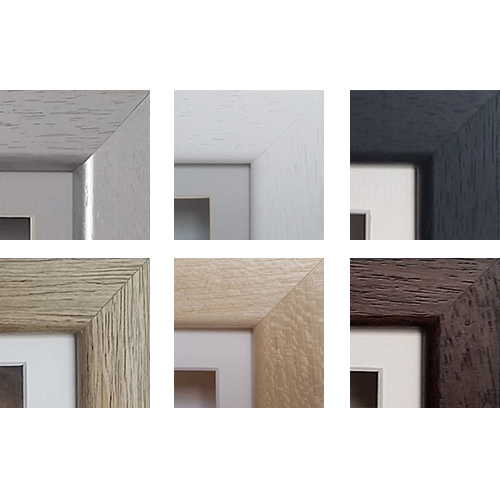 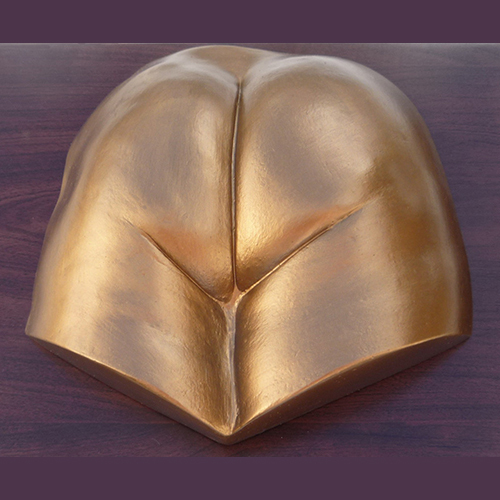 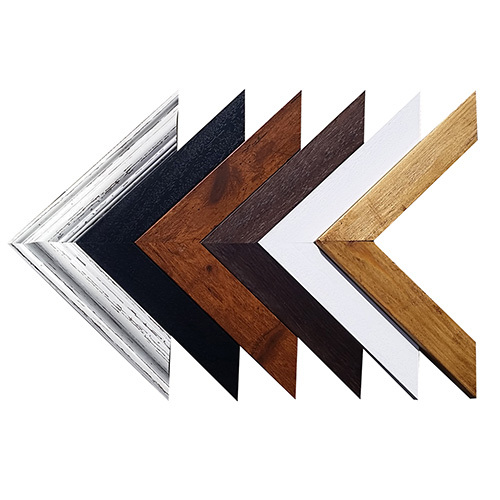 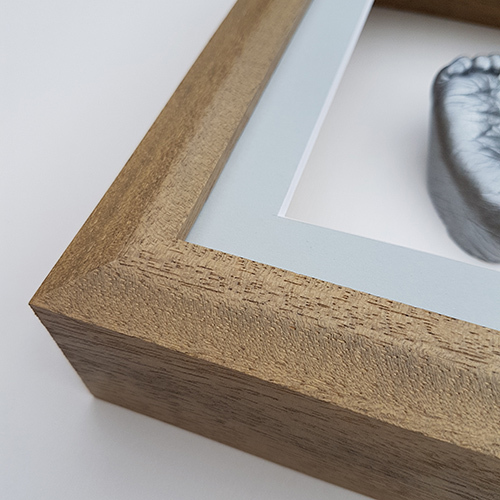 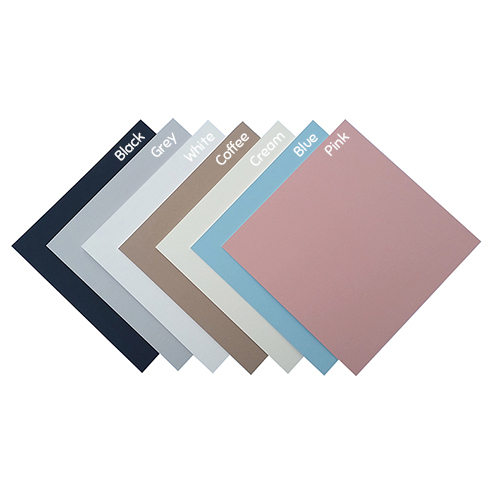 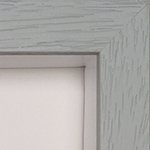 Our Contemporary 6x5" Desk Frame Baby Casting Kit has a frame with a wider display area than the Classic version. 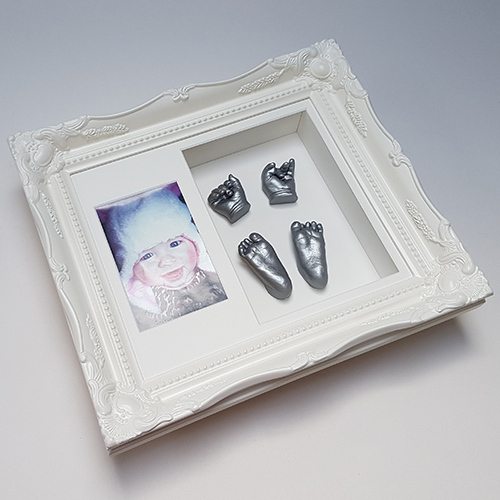 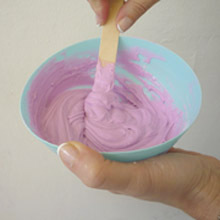 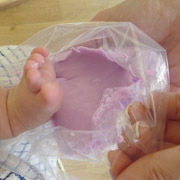 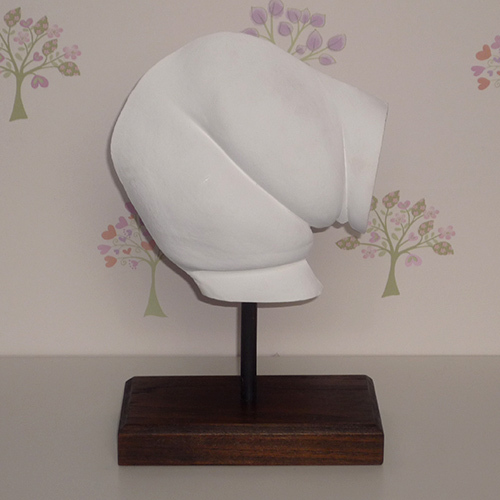 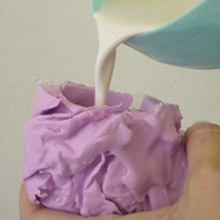 This kit contains enough materials to make 4 casts with a lovely hand made box frame. 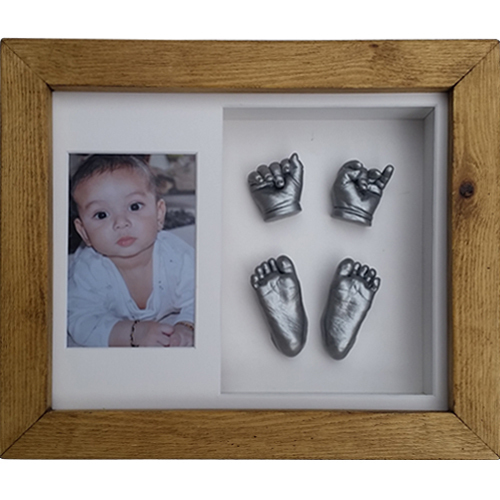 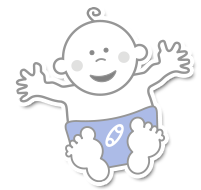 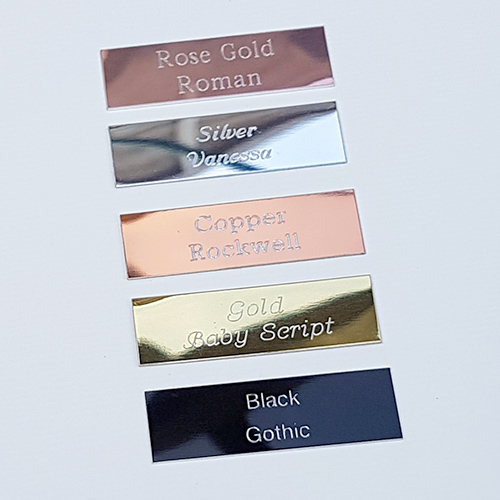 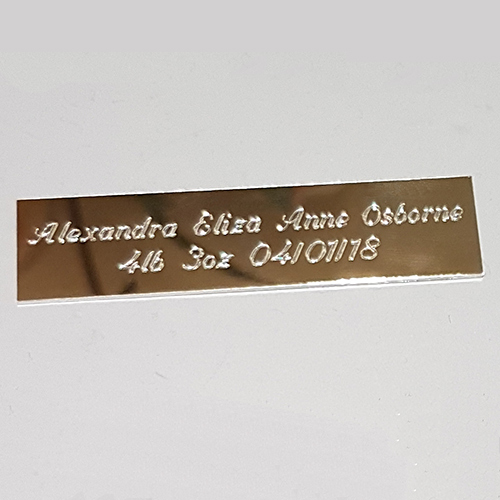 A great gift for Father's Day or a new baby gift. 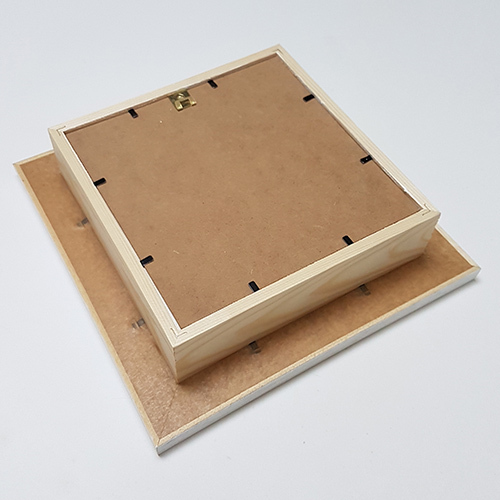 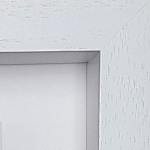 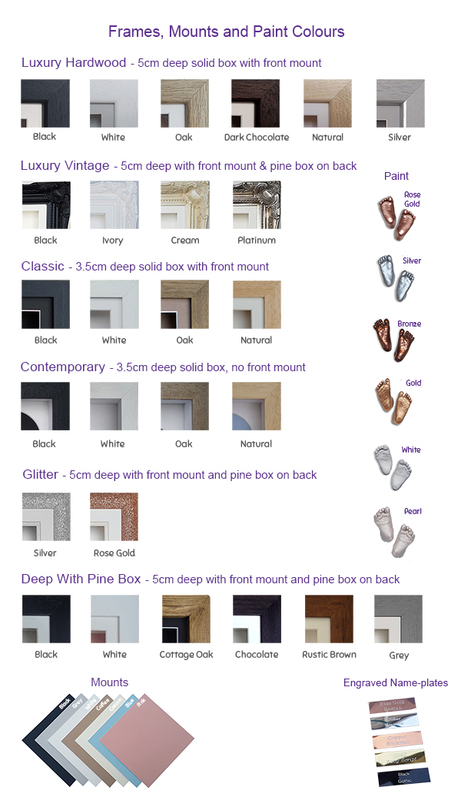 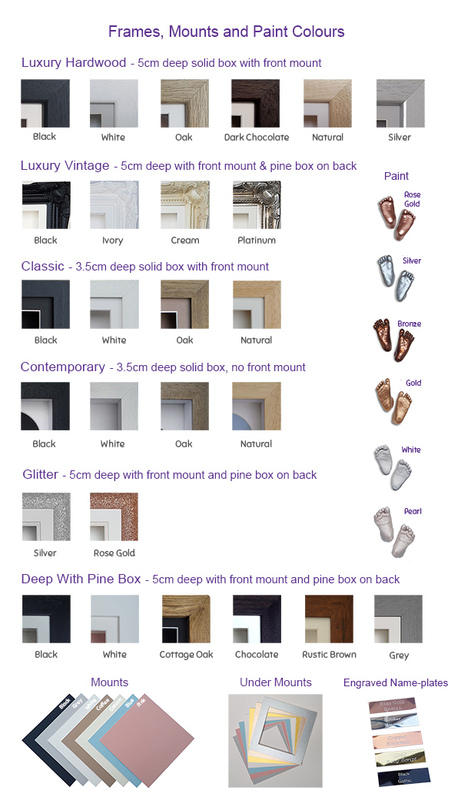 Display area measures 14 x 11.5cm. 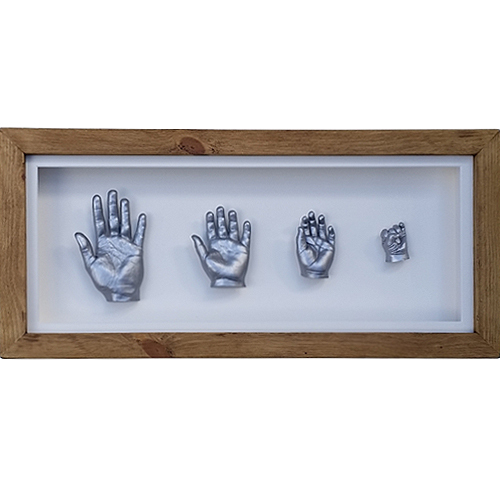 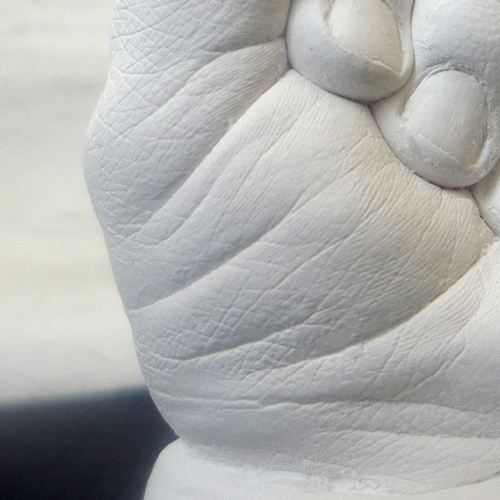 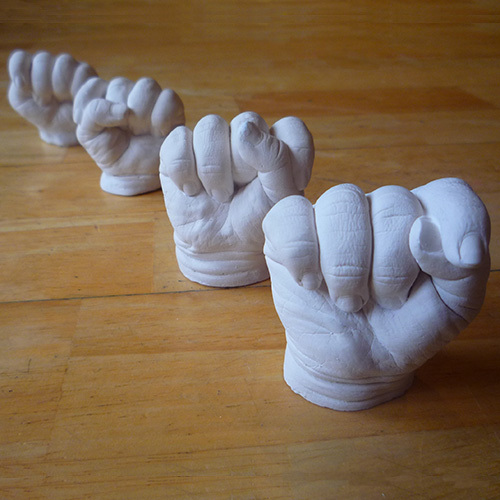 Please measure your child's feett/hands to check they will fit the frame.